Craftsmanship, And Experience To The Job! Do You Need A Drop Ceiling Quote? We're ready to provide you with a free, no hassle, estimate! RT's Acoustical Ceilings is the company you can count on to handle your residential or commercial drop ceiling needs. We are efficient, professional and extremely knowledgeable. We are the leading contractor in the Macomb, Michigan area! 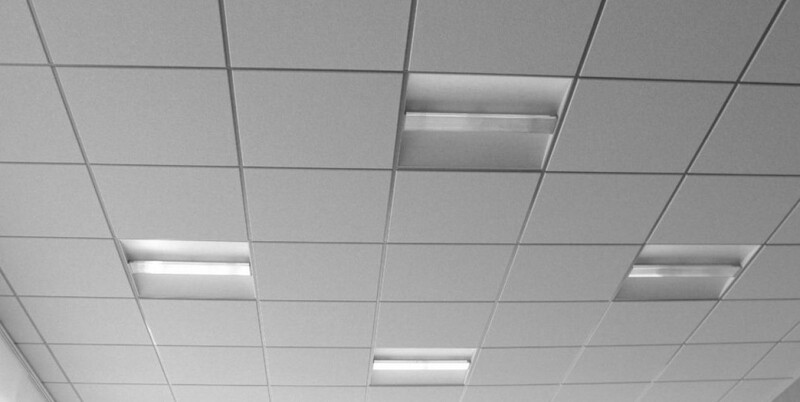 We have the expertise and the resources to install or repair any type of drop ceiling. Trust us for quality workmanship and impeccable customer service. We have the experience and tools needed to transform your basement ceiling from a dark and unattractive space into a bright, appealing, and updated drop ceiling that will be sure to draw the attention and admiration of any of your guests. With more than 15 years of experience, we cater to both residential and commercial clients. Whether you need a drop ceiling for your home basement or your office building, we’ll get the job done on time and within budget. We offer a lifetime warranty and a 100 percent guarantee on our work! Our service area is within a 45-mile radius of Macomb, MI.